Christians serve the God of Abraham, Isaac, and Jacob/Israel and understand the covenant God has made with His people known as the house of Israel. The Israel of God is a peculiar treasure unto Him and their Lord is great and above all gods! 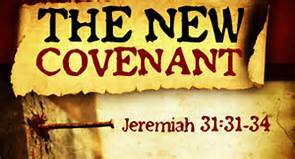 (Jeremiah 31:31-34) Behold, the days come, saith the Lord, that I will make a new covenant with the house of Israel, and with the house of Judah: Not according to the covenant that I made with their fathers in the day that I took them by the hand to bring them out of the land of Egypt; which my covenant they brake, although I was an husband unto them, saith the Lord: But this shall be the covenant that I will make with the house of Israel; After those days, saith the Lord, I will put my law in their inward parts, and write it in their hearts; and will be their God, and they shall be my people. And they shall teach no more every man his neighbour, and every man his brother, saying, Know the Lord: for they shall all know me, from the least of them unto the greatest of them, saith the Lord: for I will forgive their iniquity, and I will remember their sin no more……(Psalm 135:4,5)…… (Hebrews 10:15-17). When the mouth of Zach-a-ri’-as was closed from speaking because he did not believe the news Gabriel the angel had brought that his wife Elizabeth would bear a son who would be the forerunner of Jesus and in the spirit of E-li’-as many of the children of Israel would turn to the Lord their God! (Luke 1:16-22)…. (Malachi 4:5-6). What a prophesy proclaimed when Zach-a-ri’-as asked for a writing table to say His son would be named John and immediately he was filled with the Holy Spirit and spoke the following beautiful words of all the Lord would do including the remembrance of His holy covenant the oath He sware to our father Abraham. (Luke 1:72-73). (Luke 1:67-80). And his father Zacharias was filled with the Holy Ghost, and prophesied, saying, Blessed be the Lord God of Israel; for he hath visited and redeemed his people, And hath raised up an horn of salvation for us in the house of his servant David; As he spake by the mouth of his holy prophets, which have been since the world began: That we should be saved from our enemies, and from the hand of all that hate us; To perform the mercy promised to our fathers, and to remember his holy covenant; The oath which he sware to our father Abraham, That he would grant unto us, that we being delivered out of the hand of our enemies might serve him without fear, In holiness and righteousness before him, all the days of our life.And thou, child, shalt be called the prophet of the Highest: for thou shalt go before the face of the Lord to prepare his ways; To give knowledge of salvation unto his people by the remission of their sins,Through the tender mercy of our God; whereby the dayspring from on high hath visited us, To give light to them that sit in darkness and in the shadow of death, to guide our feet into the way of peace. And the child grew, and waxed strong in spirit, and was in the deserts till the day of his shewing unto Israel. Israel is Gods elect and Jacob is His servant and He calls His people by their name. Israel will NEVER be forgotten of God, for thy are a redeemed people of the Lord. (Isaiah 44:21-24) Remember these, O Jacob and Israel; for thou art my servant: I have formed thee; thou art my servant: O Israel, thou shalt not be forgotten of me. I have blotted out, as a thick cloud, thy transgressions, and, as a cloud, thy sins: return unto me; for I have redeemed thee. Sing, O ye heavens; for the Lord hath done it: shout, ye lower parts of the earth: break forth into singing, ye mountains, O forest, and every tree therein: for the Lord hath redeemed Jacob, and glorified himself in Israel. Thus saith the Lord, thy redeemer, and he that formed thee from the womb, I am the Lord that maketh all things; that stretcheth forth the heavens alone; that spreadeth abroad the earth by myself;…… (Isaiah 45:3-8).